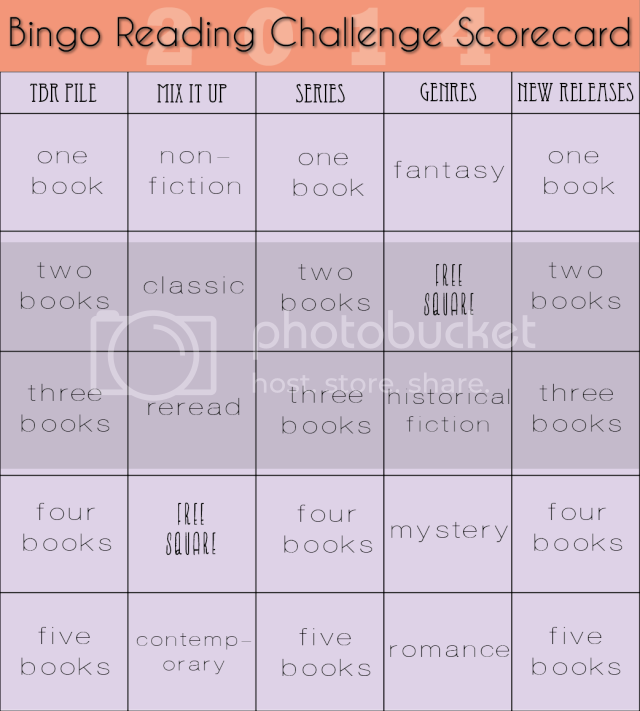 Welcome to this year’s Book Bingo Reading Challenge! The challenge was a big hit last year, and we’ve made a few changes this year to make it work even better. Be awesome. If you’re not, this isn’t going to work. The challenge runs from January 1 to December 31, 2014. If you want to participate, you can join in any time of the year! Feel free to write up a blog post with the rules linking back to my and Anne’s blog in your sign-up post. You can add your post to the Linky at the end of this post! Books read for one square are for that square ONLY and cannot be counted towards another category. This is all about reading ALL THE BOOKS. The FREE SQUARES are a little different this year — now you can use those squares to read ANY book you like of any genre! Woo! You can start your board over again, but ONLY if you receive the stamp of awesome by completing a blackout. The “winners” of the challenge will be the ones who achieve the most winning combinations by the end of 2014. You can feel free to post your reading list for each category, though it’s not a requirement. Having a blog or writing reviews for books read is not required. So long as you want to have fun, you can participate! Every 3 months I will post an update here and all participants can link to their own updates. An update post will go up April 1st, July 1st, October 1st, and December 31st. This isn’t a race, but don’t be afraid to rub your reads in the other player’s face. This will be seen as encouragement. 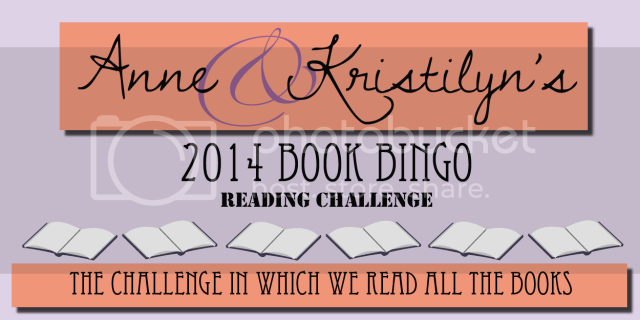 Feel free to use the hashtag #BookBingo2014 on Twitter! The sign up linky is on Kristilyn’s blog, so head on over and sign up to join us!